Balance and Training - NeuroGym Technologies Inc. 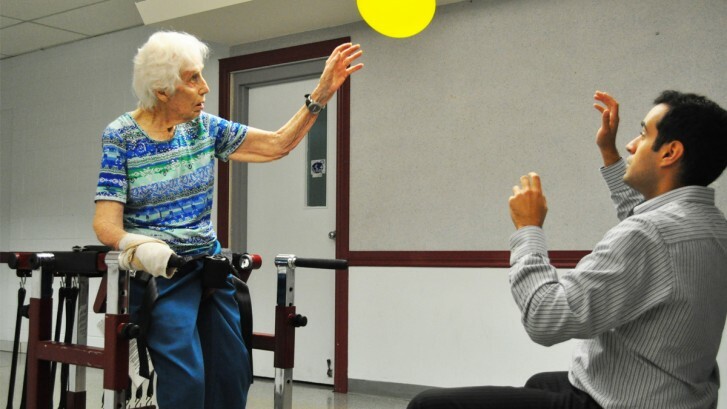 The NeuroGym line of enabling equipment has removed many of the limitations previously faced by physical therapists wanting to provide safe, intensive and enjoyable balance training. Maintaining static and dynamic balance is a complex process involving the integration of visual, somatosensory and vestibular inputs. It depends upon the integrity of key physical parameters such as adequate strength and range of motion at the ankles, knees and hips. In addition, to be functional, the level of balance ability must be sufficient enough to adapt to changes in the environment and in the tasks or movement being performed.